These are indeed some historic times you’re living in. It’s good someone is building you an appropriate restaurant in which to enjoy them. 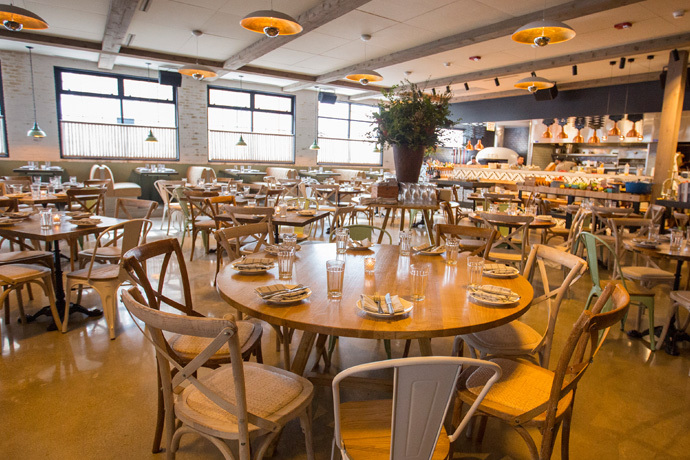 Welcome to Tortoise Club, a seductive white-tablecloth ode to Chicago’s good old days, opening Monday in River North. If the Chicago History Museum opened a quintessential Loop restaurant, it might look something like this. It’s all here. The soft-leather booths. The brass fixtures. The lobster thermidor. The crooked-but-lovable pols. The mobsters. The molls. The captains of industry. Those last four are in the form of dining-room caricatures depicting an assorted cast of scoundrels and folk heroes from this city’s past. Scan the QR on the painting with your phone and you’ll bring up a little backstory. But that lobster thermidor—it’s real. To find out more, just order. In general, you’ll want to think of this place as your new playground to hobnob with power brokers as you valiantly attempt to bring back the three-martini lunch (or the three-Maine-lobster-roll lunch). But for dates, you’ll want table 63, aka the General’s Table. You’ll spend the evening at a two-seater in front of a roaring fire, splitting your pheasant pot pie under the watchful eye of Robert E. Wood, the military man who helped build both the Panama Canal and later Sears, Roebuck and Co.
We won’t tell him you’re not wearing Toughskins.